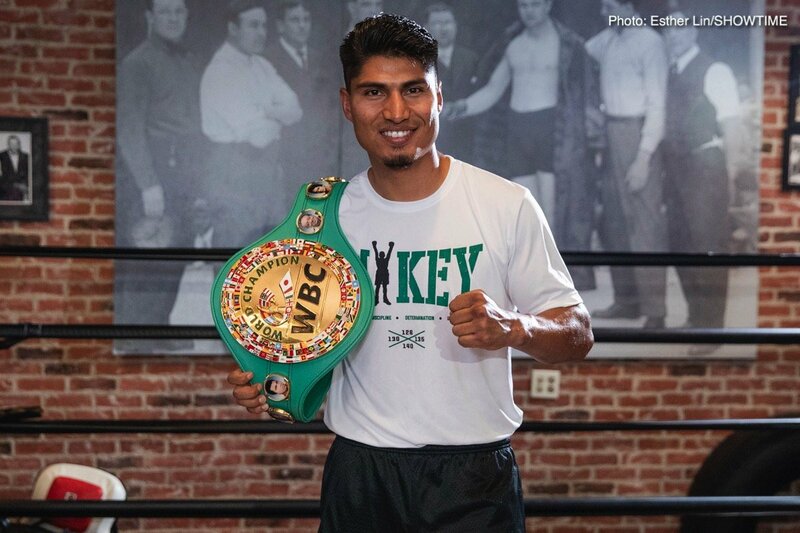 By Mikey Garcia: I want to tell you guys about someone who’s meant a lot to me. This might sound funny, but he’s basically a mixture between the Godfather and a superhero. I say Godfather because he’s got this presence: always serious, all business … when he walks into a room, everybody goes quiet. And I say superhero because many years ago he did something incredible. Something that sticks with me to this day. He didn’t quite lift a car above his head, but man, it was close. Back in the 1960s, he was living with his girlfriend on a ranch in Mexico. There were no jobs where he lived, so one day, when he’s 17, he decides to go to the States as part of a migrant worker program. When the program ends after a year, he starts paying someone to smuggle him across the border. He regularly returns to Mexico with what he’s earned, but it’s not much – sometimes barely enough to pay off the smuggler. Then when he’s 20, he marries, and gets the paperwork to move his young family to California. So now he’s got to make even more money, right? Trouble is, he hasn’t got a cent. He’s got no proper income. No proper education. He can barely even speak English. So he begins working in a fish cannery. Then he and his wife move to a beat-up trailer park and begin picking strawberries in a nearby field, toiling away in the sun and the mud. It’s awful work. But they’re still broke. And now they have seven kids. She looks at him like he’s lost his mind. Then she gets pissed off. She’s right of course. This guy has nothing. Well, except for one thing: boxing. He was an amateur boxer back in Mexico, and now he’s hanging out in a local gym trying to find work as a trainer. Sometimes he doesn’t even bother coming home – he just goes straight from the strawberry fields to the gym. And somehow … somehow he begins working with some fighters. He seems to know his stuff, because a few of them become good. Really good. A few of them even become famous. Eventually he is able to move his family out of the trailer park and into a decent house. But he never mentions the promise he made. By 2000, two of his boxers have become world champions. Now he’s got enough cash to buy a brand new five-bedroom house. He and his wife watch it get built on the old strawberry fields where they used to work. Then they pick the furniture – all new, all luxurious. When it arrives, his wife opens the door and sees it… and then he brings up the story. That was such a wonderful moment. I remember … because I was there. That guy was my father. I must have been 13 or 14 years old. I was born in that trailer park, in Oxnard, the youngest of seven kids. We moved out when I was one. We had been dirt poor, but my father never told us how bad it was. Only a few years later did I understand how hard he had had to work for us. So when he bought my mother that furniture, I felt so proud. I was like, Damn. My dad’s a badass. I get … I get emotional just thinking about it. To me, my father, Eduardo, is living proof of the American dream. People know him today as the guy who trained Fernando Vargas to IBF and WBA world titles and my brother Robert to an IBF world title. People also know him, of course, as my trainer. But beyond all the boxing stuff, what my father has shown is that you can achieve anything – no matter who you are, no matter where you come from. When I began to dream about what I wanted to do in life, I knew there were no limits. Now, the natural thing for me was clearly to become a boxer, like my father and my brother. But I didn’t want that. It didn’t interest me at all. In fact, if you had asked me what I would do for a living, I would have told you that I’d become a lawyer or a police officer. I guess I was just attracted to the idea of authority. I tried to avoid boxing altogether – I was almost defiant about it. But then one day, the sport found me. I was 13. We were going to see my nephew, Javier, fight in Reseda. I was just going to support him, but one of the kids in the gym didn’t have an opponent. So Robert signed me up. Of course, I had grown up watching my father train Fernando and Robert, so I knew the basics. I borrowed some equipment, shoes, cup, headgear – everything – but since I wasn’t licensed to compete, we just fought a three-round exhibition. And I liked it. I liked that one-on-one. I held my own too. Afterwards, I wanted another taste of it. Six months later I had my first official amateur bout. I won. I won my first 10 fights. In 2003 I reached the final of the National Junior Olympics in the 125-pound class. I lost on a 3-2 split decision, but still, silver was not bad. Soon managers and promoters started to show interest in me. I won a few tournaments, and then one day, at 18, I decided to go pro. But I also wanted something to fall back on. You remember the stuff about law enforcement? Well, I wasn’t joking. After college, I went to the Ventura County Police and Sheriff’s Reserve Academy. I learned a lot about policing, about reading people, paying attention to details. And a lot of it relates directly to boxing. Stand in the right position. Keep your guard up. Approach from the right angle. Have an exit strategy. Stuff like that. When I graduated in 2010, I applied to the Ventura County Sheriff’s Office. But then my boxing career took off. I was getting bigger fights – and better pay than I would as a rookie policeman. And that was when I realized, You know what? Boxing could be my job. Not a dream. Not a hobby. A job. My father is 73 now and has a head full of white hair. He doesn’t look like he did when he was training world champions, but he still has that aura. At the gym, people call him ‘Big G’. You can tell when he’s not there because everybody becomes more relaxed. When he’s there, though, people sharpen up. They work harder. There’s no messing around. That’s why I say he’s like the Godfather. My father was my trainer. He and I were doing well in 2013, but then in early, 2014 we had to put everything aside. My contract with my promoter, Top Rank, was running out, but Top Rank was saying that the agreement was still in place. We disagreed. We took it to our attorneys, and they all told us that we were right. The litigation process was so tedious that it took us two years in court to reach a settlement. During that period, I got no fights. Other promoters were scared because they didn’t want to get involved in my dispute. The television networks were afraid of the same thing. I was stuck. But at least I was able to work, or at least come close to working, as an attorney. But instead, when I came back in summer 2016, I was so hungry. I wanted to fight. I wanted titles. It wasn’t even about the money anymore. I just wanted to prove to everybody that I’m the best fighter out here. And there was one thing in particular that I wanted to do. You see, my father had already won three world championships with three fighters in three divisions. But he had never won a WBC world championship. So I set out to get it for him. In January 2017, in only the second bout after my layoff, I fought Dejan Zlatičanin for the WBC world lightweight title. My father, as he usually does, tried to find small mistakes that he could correct while I was training for the fight. He’s always concerned that I’m not doing enough. I can go 12 brutal rounds, but if I’m not dead afterwards, he thinks I’m not working hard enough. The truth is the opposite: I’m just in great shape. But he’ll always push me for more. And here’s another thing: As a fight comes closer, my father changes. I can sense it, my brothers too. My father, the Godfather, the superhero … he gets nervous. My father, the Godfather, the superhero … he gets nervous. And he particularly did so for my fight with Dejan. There were so many insecurities. Would I be the same boxer when the bell rang as I had been in 2013? Would I be rusty? Dejan was an undefeated champion. Could I beat him? I was fighting in a heavier weight class. Could I handle it? I felt good. I was like, “Dad, come on, it’s gonna be fine.” I don’t really know where that comes from, that confidence, that calm. Maybe it’s because I grew up with boxing. The ring, the lights, the heat, the people, the music … they’ve been part of my life since childhood. Nothing surprises me. Nothing scares me. Nothing overwhelms me. I’m never angry in the ring, never stressed. And that’s important, because that emotional control helps me to pay attention to the details. If you’re stressed, you can’t do that. But I can. I’ll be reading my opponent’s body language: his shoulders, arms, legs, feet, eyes … especially the eyes. The eyes tell you a lot. And the breathing. How heavy is he breathing? Is he pushing off me, or just resting? What punch am I gonna land, when am I gonna land it? How am I gonna land it? At what distance should I keep him? It’s all happening so fast. But I’m always in control. And against Dejan, well … I knocked him out in the third round. They brought me the WBC belt. I was happy to finally get my hands on it. But what made it so special was that I had won it for my father. I remember hugging him. A big hug. But that doesn’t excite me. I want the toughest guy, and that happens to be a welterweight. I’m better than ever. I’m in my prime. And because everybody says no, that gives me more motivation to do it. Besides, this is the kind of fight that is going to cement my name in boxing history. Other fighters win titles, and then just defend them. What’s the point in that? The champions we remember are the ones who take risks, who take on the biggest challenges, the biggest fights. There are lots of world champions, but the average person can probably name five or six: Ali, Tyson, De La Hoya, Mayweather, Pacquiao … so what good is it to have a title hanging up on the wall if the world doesn’t acknowledge you as a world champion? To me that’s not a world champion. A world champion is when the world admires you and tells you that you’re a world champion.